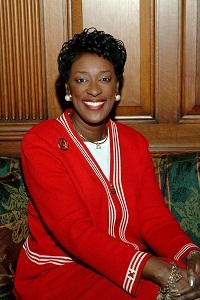 There is a bizarre contract controversy involving the new president Alabama State University, Gwendolyn Boyd. She is entitled to live in the presidential residence, which is pretty standard. What is not standard is the condition placed in her contract by the board: she cannot have lovers stay overnight for any extended period of time. Boyd, you see, is unmarried. Boyd is returning to Alabama State (where she graduated) from Johns Hopkins, where she spent the last 33 years as an engineer and executive assistant in the university’s Applied Physics Laboratory. Boyd agreed to the condition and shrugged off the controversy as not important because she lives alone. That hardly answers the question. The condition, in my view, is presumptively unlawful and most clearly insulting. What is notable is that Boyd did not even retain an attorney to look over the contract before she signed it. It guarantees her $300,000 a year, a car and the presidential residence so long as she complies with the board’s conditions on her intimate relationships. The condition raises serious questions over the invasion of privacy of the president as well as discrimination against people who are single. The fact that it was introduced for this candidate also raised questions of discrimination on the basis of gender. It is also incredibly moronic and offensive. No academic, particularly the chief academic officer of a university, should sign such a demeaning contract. It does not bode well for the university that its top officer would shrug off such a violation of personal privacy and basic notions of respect. Such considerations are irrelevant according to university spokesman, Kenneth Mullinax, who simply noted that “[t]he contract was negotiated between Dr. Gwendolyn Boyd and the Alabama State University Board of Trustees and both parties agreed to it and have no problem with it.” Really? That’s it? What is the parties agreed to a racist or anti-Semitic contract? Would it be hunky dory just because the person wanted the job so much that she was willing to give away part of her dignity. In a distinction worthy of the Saudi Kingdom, the board does let her have family members live with her in the mansion. Ironically, rather than draw positive attention to the University for its new president and direction, the board made Alabama State University look like some petty, backwater institution. It is the continuation of a board that seem incapable to functioning without controversy or self-inflicted injury to its institution. It has been accused of questionable relationship and contracts with family and friends of its board members. Her predecessor Joseph Silver resigned after only six months in the job in scandal. He received $685,000 to resign his position after questions were raised about contracts. Notably, the board paid him the money on the condition that neither said make disparaging comments about each other in the future. The audit found efforts to obstruct investigation into possible fraud. It is not just the judgment of the Board (which has long lost credibility for many) but the judgment of Boyd that is thrown into question by the signing of the agreement. The board has again failed its students and its faculty in leading this institution in my view. The ASU community has a legitimate interest in not just seeing the substitution of this contract but the substitution of this Board as a critical factor in the advancement of its institution. David: One more thing I forgot to mention that the party you belong to loathes and hates their Muslim cousins. They burn Qurans, the Muslim holy book.They want Muslims to be killed. As a result, many innocent Sikhs who are known to wear turbans and have nothing to do with Islam are taken as Muslims and suffer the wrath from the believers of your party’s values, even death right here in the US. They even call President Obama a Kenyan born Muslim because for them the word Muslim is a slur in your party’s dictionary just like the N word. DavidM is the proverbial puritan teabagger, just like the coke sniffing GOP congressman from his state who got caught red or shall I say white powder handed. I will not respond directly to your implied criticism of my views on marriage other than to note its insulting presumptuousness. We demonstrate our commitment to a value or a belief through our actions. We demonstrate nothing by inserting this sort of morals clause in a contract with a university president other than our contempt for the concept of privacy and a puerile fixation with the sexual behavior of consenting adults. Would you have been even more impressed had the drafter incorporated clauses prohibiting shoplifting from the college bookstore and using university computers to send private emails? I am very sorry that my post came across insulting. Carefully considering what you wrote, I tried to find another reason for the clause being demeaning to the university and Dr. Boyd, but I could not come up with one. Guess I had a blind spot. The primary difference between these examples and the clause we are talking about is that there is a huge political and cultural push toward redefining and diminishing the institution of marriage. Young people today often are choosing to shack up and have children out of wedlock, often with different fathers. Such behavior has many societal and economic ramifications. If a university president were to provide this kind of example, it would send a bad message to students on campus and ultimately also bring disrepute upon Dr. Boyd and the university. Nevertheless, I understand your point now. Why should it even be necessary to put such a thing in a contract? Yes, it is shameful to society and our culture that such has to be spelled out. Thank you for clarifying your perspective on this. There was a HUGE step taken in college football w/ Texas hiring it’s first black head coach, Charlie Strong. College football and MLB have horrible records regarding black head coaches, managers, and GM’s. Maybe this hire @ Texas will open things up in college football. However, the problem is not just south of the Mason Dixon line. All regions have a woeful record. Nick: There was time when the quarterbacks were only white and so were the coaches in the NFL, the basketball players only white and almost in all sports, the whites ruled which fortunately is not the case now. To be honest, I was happily surprised about the hiring of Charlie Strong by Texas I hope the trend continues even at this snail’s pace. However, on the other side of the coin, it is sad to notice the white sheet like machismo and sexism of the GOP which is the true side of how half of the America feels and lives. And one can find many belonging to that lot here, dragonlike fire throwing their hateful agenda against, women’s rights. This lot has always considered the the female gender belonging to an inferior class. This is the reason they wasted our hard earned money passing the bills against women’s rights in the congress.The other proof is also in the GOP congress. The number of women and blacks we have in the GOP as compared to the Democratic Party. If anyone thinks I said anything mean in this thread about this situation, you are right I did. But it had nothing to do with President Boyd. I don’t think I can criticize her. The US has made a lot of progress in the past say 50 years regarding racism, the position of minorities and the position of women. But there is still much to be done. For an AA woman or any woman to become president of an college or university means a lot. . So long as she has to power and responsibility of the office an is not just a figure head, then I think President Boyd is pushing forward and I say good for her. I am betting she carries that particular indignity with grace and carries the responsibilities of office well. She certainly deserves the opportunity to perform and I think we should all wish her the best of luck in what I am sure will be a challenging environment. David: What religion do you belong to? Do not feel embarrassed rather be proud of it by sharing your beliefs with us. I have mentioned many times on this blog that I do not belong to any religion. “I have mentioned many times on this blog that I do not belong to any religion”. Then you are in the wrong party because Tea Party nuts hate people who do not belong to the Abrahamic religions, especially Christianity. They want Jesus to come back (Christians for Jews & for Israel) so that all will be converted to Christianity otherwise they will be thrown in the cauldron of hell. That is their core belief. I thought you knew that. Christians hate equality of any kind. Although they claim to have free will but they do not let women’s right to choose. They talk about family values yet, they start adulterous affairs in the pews. The divorce rate among them is the highest.They do not want people to love each other no matter whatever their sexual preference is. You hold the same values no matter what you call yourself. Your beliefs are the same and you flaunt them quite gallantly. So, it is not important what you call yourself religionwise but your core beliefs define you and they are the same as of your party honchos’.. I didnt vote for Bill Clinton because he was a serial philanderer, look at Elliot Spitzer and Barney Frank [wow a gay whorehouse in his capital hill place] and who can forget Anthony Weiner showin his junk all over the world. Maybe you are a liberal ala Anthony Weiner? Bron: Here you go again barging in. Why don’t you let David talk for himself. Why don’t you consider David an adult enough to respond? You had claimed David had another chart for inflation which was a simple lie on your part. David is a conservative Republican ala Newt Gingrich and Senator Vittier.The former is a serial adulterer and the GOP Senator Vittier a hoe-player.These Gopers try to pretend all puritan over the sheets, not when under them. These are called the conservative values. You cant say DavidM would vote for them, you dont know. I am betting he would not vote for them because he is much more conservative than any of the 3. I would not vote for them because I think they are all too pragmatic and have no real consistent philosophy of life. Guiliani might but I dont think Trump and Gingrich do. What does that say about the women who cheat with them? Women are not passive participants. Yes there are. More than some would care to admit. Bron, I find it funny that folks like Davidm would have NO problem voting for Guilani, Trump, or Gingrich or any of the other GOPers who were running for President. They believe in marriage so much that they cheat on their wives and get married again. The hypocrisy is obnoxious. How did Ms. Boyd demean herself? Maybe she is a republican, after all Marting Luther King, Sr. was for most of his life. Alabama State University demeaned itself by inserting the cohabitation clause in the contract. Ms. Boyd demeaned herself by signing it. It seems to me that this perspective could only come from those who devalue and disrespect the institution of marriage. From the perspective of someone who highly values marriage and sexual fidelity, such actions increase dignity and respect for her and the university. Our culture certainly has changed, but I’m not sure that our culture as a whole would consider this demeaning. There are still some who would find the concept of the president of the university shacking up with someone out of wedlock to be disgraceful. The news media outlets would have a field day with it, and that would truly be demeaning to both Miss Boyd and the university. Personally, my respect for Gwendolyn Boyd has gone up by her agreeing to the terms. It demonstrates that she has integrity. Davidm2575 – I must agree, I find it appalling that the university even placed that clause in the contract of the President of he University. That is how much little faith they have in their fellow human beings. I therefore have little faith in the Board of the University. You can send your children there. Shame on them for even placing such low moral parameters on a person of that significance to the institution. hksi It is absurd to compare private or corporate contract law as being the same as a government or constitution. Using your example, when you ask if a person should be forced into a contract, that is the whole purpose of government. Taking your contract analogy further, then if your guy or party loses the election, then you should not be expected to be forced to follow the laws they enact. That is clearly absurd. Your points are so off and shallow without thinking about the ramifications it is useless to argue. I will just refer to your lassie fare guru and Rand fan, Alan Greenspan who exclaimed before Congress that he would NEVER have imagined that the capitalist leaders could have been so stupid and reckless as they were when they caused the latest economic catastrophe. I know that Keynes was a die hard capitalist and simply showed how to get out of the other catastrophe of that time, the Great Depression. FDR and the US actually carried out a great experiment as to the accuracy of his ideas when the US DID resort to deficit financing in 1933 to 1937. The economy started to recover and when they CUT the spending, the economy went back down. The Depression was only ended by the massive deficit financing and spending of WWII. The US debt soared to 120% of GDP by the end of that war, which is FAR higher than what we have today. Your economics ideas are simply not valid and have been proven that by history and facts. It is like your idea that a confederacy is a great idea despite the FACT that we tried that TWICE and it failed. I guess that if it failed twice you think the third time will be the charm. That is correct, we should not be at the whim of those in power and why we have a bill of rights. If those rights are abrogated, then we no longer have a lawfully constituted government. I think it is absurd, that you think it is absurd, to imply individual rights as not superior to group privileges. There are many prominent men like Lysander Spooner who have argued these same principles. Are we not a group of individuals who attempted to form a more perfect Union, with individual rights being our foundation. Government is not supposed to initiate force or coercion, based on who is ruling at the moment and that is exactly what our Constitution was supposed to curtail. We have sadly been overthrown by stupidity and arrogance. People who think that can engineer the affairs of an entire society. Well done Comrads!!!!!! !